1 - The World is Mobile Ready: Consumers are set up to access what they need, and what they want via their phones. There is no reason your consumer will have to stay at home or search before leaving the house. Wifi, 3G, 4G, are used by consumers mobile devices that make them actively ready to search for whatever, wherever they are. 2 - If the screen doesn't fit, they will quit: This is so true. If someone opens up your website, and your site is not mobile optimized, they’re gone. Consumers will not spend the time to scroll through all the information to find what they are looking for. If your site correctly re sizes to their screen, it makes seeing your content easy, accessible, and ready for them to find exactly what they are looking for. 3 - Keeping Current: You must keep current with the new technology, and maintain your website through optimization. It will generate and increase revenue dramatically. Not only does your consumers find it more appealing, and easier to use, but search engines like Google rank these sites higher than ones that are not mobile optimized. 4 - Awareness: It is crucial to be aware of what your consumer base is. Even when you look into statistics, all age groups are using smart phones. This means's if you are aware of your clientele, it does not matter what group you are focusing on, you need to be aware they are on mobile devices. Cater your site, and marketing to these groups, but make sure your outreach is mobile optimized. 5 - Growth: When you are showing you are willing to grow with technology, and become mobile optimized, your business in turn grows. Everything is connected, and putting effort into your online presence will return a profit that will be worth, your time effort, and money. 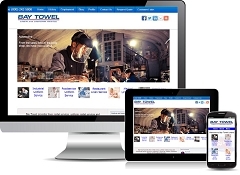 If you're business does not have a site that is mobile optimized, then you need to upgrade! The outcome of following these three statement, will be astronomically beneficial for your business.